Smoking from natural rolling papers or cigar wraps can directly affect your herb or your tobacco smoke. The process of burning can cause rapid chemical change where carcinogens and other toxins are released, making it very hazardous to one’s health. But if combustion is eliminated, the product then is safer. And that what makes Vaporizers a great alternative to the traditional smoking method and the greatest innovation in the smoking industry. Also known as “vapes”, a vaporizer is a technologically advanced way to smoke without worrying so much about the by-products that you might puff in. It heats your herbs and concentrates up just enough not to combust them. It then allows you to inhale pure vapor from your herbs or oils with more emphasis on their flavor and their effect. Manufactured by premium brands, Chillwaze has a variety of selection of these vaporizers perfect for your dry herbs, concentrates or e-liquids. Vape pens, handheld vapes and even desktop vaporizers all of different sizes and adjustable heat options are offered here. They are designed suited for your character- from traditional or classical to modern and elegant look. It comes in various colors and presentation not only making it comfortable to use but also visually appealing. Desktop Vaporizers or Portable Vapes? Portable Vapes are less expensive and apparently smaller than Desktop Vaporizers, making it easier to carry on your pocket, bags or purse. Both devices can work with dry herbs or liquid concentrates. Minus the range of heat controls and intake extensions ( balloons or water pipes), handheld vapes are easier to use compared to their desktop counterpart. There is a need to connect these Desktop vaporizers to a power supply in order for them to work. So if you want to vape on the go, you preferably need portable vaporizers. They need 1-2 hours charging and sometimes comes with an extra battery. But if you do not have one, you can check on the Vaping section of our Chillwaze website and click on Batteries, to make sure that you will not ran out through the day or in between sessions. The best thing about these handheld vaporizers is it’s nature of extracting vapor, it uses the process called convection and conduction. Since there is no burning process, there will be little to no smell upon usage of this device on public places. Given all these facts, there are lots of buyers who would still choose Desktop Vaporizers than the portable ones simply because of its sophisticated features. They have adjustable temperature where one would start low and slowly increasing it, cooking up the herb and allowing you to make the most of every bit of it. Like one of the most popular devices, the Volcano uses a huge balloon bag where all vapor is filled and locked in. That allows users to readily inhale all those goodness from the mouth piece attached to it. Others would come with a whip, a long tube used for inhalation, or several whip attachment for multi-user. 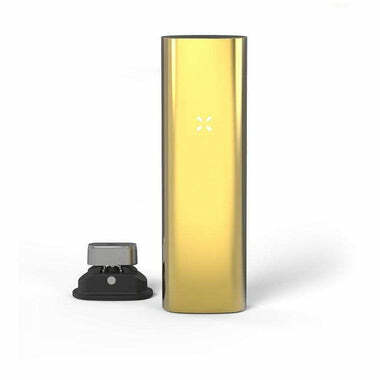 It can provide a vape all you want enough for a group without refilling your device. Though vaporizers offer 2-3 years warranty, the regular maintenance helps its longevity. In switching products or flavors- thorough cleaning is highly encouraged to avoid ghost flavors, one of which is produced when your new substance is mixed with the residue of your old one. Whichever vaporizer should you choose the most important thing to remember is to regularly clean it, for better taste and healthier smoking experience.